This message is an introduction to the facts that never fail, the Word that never returns void, and the Truth that truly does make the Christian free. Because in such a showdown, the Cross of Christ always proves victorious. You thought genealogies were boring? Well, not after this message, you won’t! Throughout world history, the Hebrews have stood unmatched in their maintenance of genealogies, lineage, and descent. God promised them that from their bloodline would come One who would rescue the world from sin. This “Deliverer” would be of the seed of the woman, born of a virgin, born in Bethlehem, and would be from everlasting. Well, this “Deliverer” has come. And just as promised, He was born of a virgin girl in Bethlehem, and He was no mere man. He was God born in the body of a man. Buckle your seat belt for this one! Often our aim for our children’s development is to see them “above-average” or “better than most.” But, when the Truth of our super-conquering Jesus Christ is infused into the training of our children, nothing short of “children that change the world” will do. 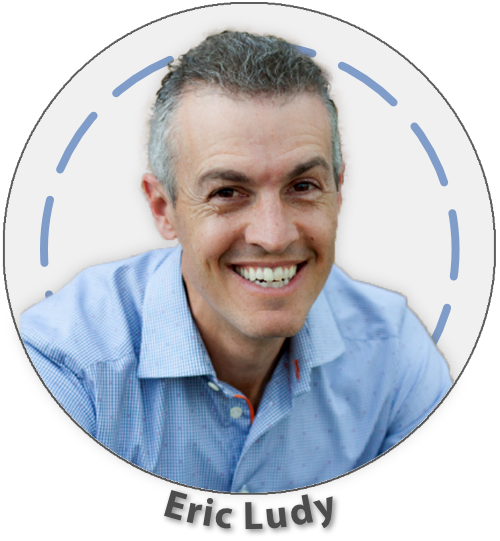 In this session, Eric Ludy will pass along both a vision and a practical platform for beginning to think and parent with even greater boldness and purpose. Scripture is under attack, and countless individuals, even within the Church, doubt the authenticity and supernatural construction of God’s Word. This message examines ten simple proofs of the construction, preservation, and accuracy of the Word of God. It will supercharge your faith, give you greater confidence in the Word of God, and cause you to fall in love with Scripture all over again. The constant declaration of the Christian life should be “I can’t, but God can!” Our lives were made to be inhabited by the living God, through the indwelling of the Holy Spirit, to be used as a “glove” upon His hand. This enabling power of His life, called grace, supplies all we need for life and godliness. Grace is far more than a mere hug of God. In this life-changing message, Eric Ludy equips you with the spiritual tools to stop trying to manufacture the Christian life and instead let God do it in and through you. The authority of the Word of God is being openly challenged today, even from within the Church. Though this has been true in nearly every generation, it is possible to have confidence and boldness in the timeless, eternal, and flawless character of Scripture. In this soul-stirring message, Eric Ludy explains the Canon Test (which God gave Moses to prove the authority of His Word) and shows how this “canon” was used throughout Scripture and is now applied in our lives. The climatic reality is that Jesus Christ has fulfilled the Canon Test and has the divine right to rule and control our lives. This powerful message will leave you awestruck as you listen to how Jesus fulfilled the Old Testament in perfection.